One problem that most people living in Los Angeles face on a regular basis is trying to maximize the space of their homes. With the average square footage of a San Fernando home hovering around 1400 square feet, it can be easy for your home to quickly feel crowded. However, there are a number of ways to make your living space look and feel bigger than it actually is. With a combination of natural light and the right color choices, your home can feel more like a palace and less like a cramped house. Lightly colored– or even simply white– bathroom tiles are an excellent choice for giving your smaller bathrooms a larger feel. 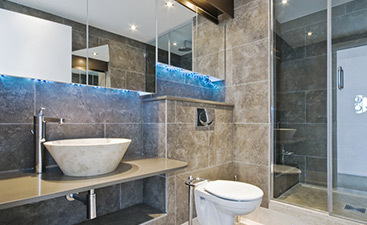 White tile reflects light which can give the optical illusion of creating space. Plus, the cleanliness of white bathroom tile will allow your bathroom to feel airy, too. In addition to using bright, white bathroom tiles, another way to give your smaller bathrooms a bigger feel is to use colored wall tiles that create arbitrary sight lines. 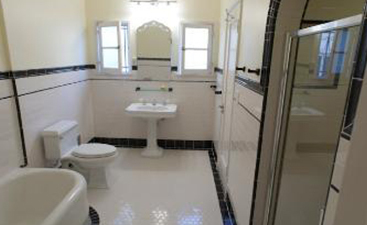 For instance, if you create a dark colored border around your tile that is closer to chest level than waist level, it will seem as if your bathroom is much larger than it actually is. This works especially well with narrow bathrooms. 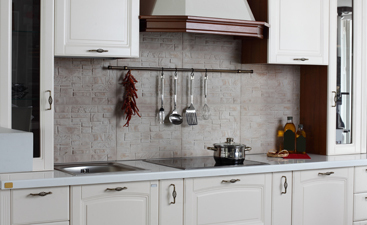 If you are looking to renovate your existing San Fernando home, giving special attention to your bathroom tile will go a long way in maximizing your home’s square footage. 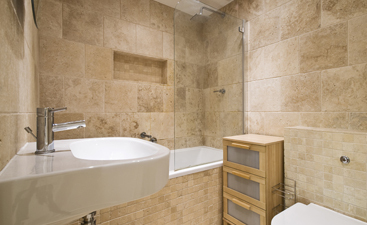 For assistance with your bathroom tile project, contact Transworld Tile today. As California’s Top Rated Local® tile and design service, you can put your trust in us to design a beautiful bathroom that can feel much bigger than it actually is.